I grabbed a Smena 8m (I’ve got a bunch of those things), cut two strips of film – wouldn ‘t waste the whole roll on something so useless, one of black and white Tasma NK-2 and another strip of a long expired Agfa color Vista, and run through the camera under different conditions just to see what would come out. The experiment is hardly scientific as I am not the kind of person who writes down exposure times, aperture values, developer temperature (I don’t even bother to measure the temperature of black and white developer, though color is a different story). A few snapshots of my Smena 8m and a few black and white and color images taken with that particular Smena follow this longish narration. With 21 041 191 million copies made by LOMO from 1970 to mid 1990s, this is supposedly the planet’s most mass produced photographic camera. If we take all Smenas into account, from the mythical prewar proto-Smena to the Smena 35, the number of those things made would probably be double the 21 million figure or … 40 million cameras? This meant that every kid in the former Soviet Union had one because Smenas were cheap (though Smena 8m was not the cheapest camera, the Etude was more than twice as cheap). 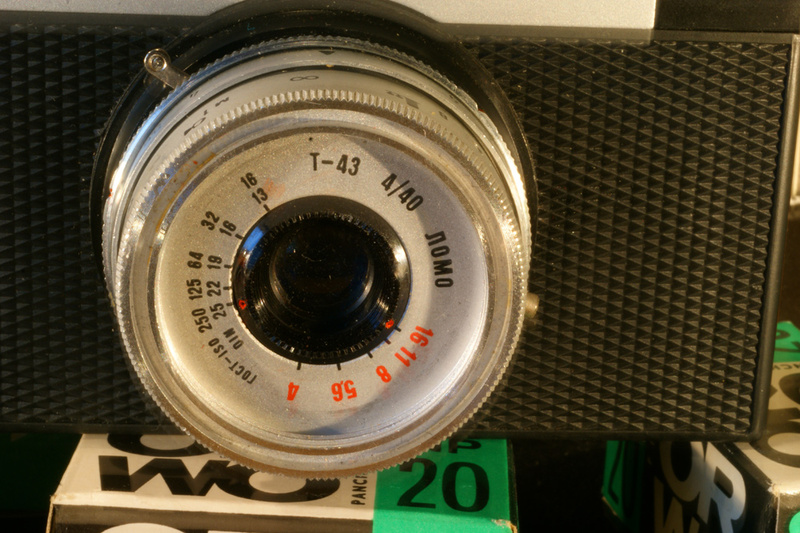 Smena is a fairly uncomplicated – though not that simple – viewfinder camera. It requires some photographic skills, attention and a great deal of stubborness to get any kind of useable pictures out of it. As most kids – from 7 year olds to early teens, the category that I would associate with Smena users in those long gone years, have short attention span and cannot guesstimate aperture (most adults can’t do that either) the results folks got were poor at best and the camera did a great job at dissuading people from pursuing their photography hobby further. Because minilabs were a rara avis in the 1970s and 80s Soviet Union and that most people want cameras to take recognizable photographic mementos of their precious selves and “their friends and relatives”, at the first opportunity Smenas went right to the trash can. It also explains why among the masses in Russia the switch to Oriental point-and-shoots in the 1990s was both instantaneous and complete and why the country abandoned film altogether – faster and with a greater zeal that in such developed places like France, the US, Japan or Germany, where film still hangs on. Though barely. The story in brief. I am not write a novel about the genesis of Lomo (it is the child of the First World War, and that’s another story altogether), or what became of it, or what happened to the earlier prewar Smenas (they are extinct) or why did they go extinct. 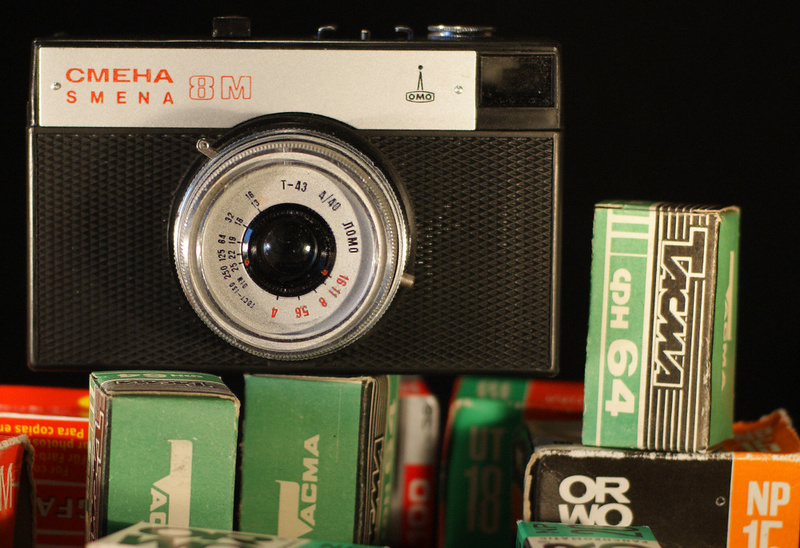 In the 1970s and 1980s Smena was the second or third cheapest camera on the market. The Soviet Union had a command economy that in the 1960s and 70s (under Chruşev and Brežnev, also spelled semi-phonetically in American English as Khrushchev, though there is no k, sh or ch in his actual name ) allowed less initiative on the manufacturing and distribution level than was the case under Stalin (though other things were notably easier and should I say… safer and less scary). It seems the production choices were determined arbitrarily or by chance. Some party idiot went somewhere, saw something and decided that the same thing has to be replicated in the USSR – sort of blind importation of ideas, concepts and even product designs without comprehending what are they for or knowing their cultural or aesthetic background. In the 1970s some high ranking Soviet parasite went to some civilized country like France and saw that the French drive bright colored hatchbacks. Two things followed. First – no black cars were allowed for ordinary people (actually that might happened even earlier, a sensible restriction though – I would ban black cars in Russia today as well, though for the opposite reasons because there are too many of them and cities look like they are taken over by the mafia and funeral agencies, which is partially true). Second – all new cars introduced for the consumer “market” from the mid 1970s onward were hatchbacks. No sedans. A similar thing happened with the cameras. Today’s hypercentralized authoritarian Russian Federation functions in exactly the same way – an unelected or nominally elected official just comes up with something he stupidly borrowed from somewhere else and it becomes the rule or worse the law. But let’s get back to the cameras – in the late sixties and early 70s, the Soviet planning officialdom decided that amateurs are going to use 135 format (35mm that is) film. That meant that although old cameras like Lubitel were kept in some minimal production and even the cheapo Etude was made in modest numbers, all new mass produced cameras were to be of 35mm format. All slide projectors were also to be of 35mm format (so people with medium format cameras stopped shooting slides unless these guys were pros doing work for magazines or publishing houses). Because there were no minilabs in the country and people actually made prints at home – in either improvised or more-or-less permanent darkrooms, amateur photographers needed enlargers. You could get your prints done by a lab of course but it took time and was fairly expensive, more expensive than if you made your own prints. In this respect Soviet photo amateurs were similar to their brethren in Western Europe and North America in the 1920s, 1930s and early 1950s but not 1970s as that was the era in which minilabs already reigned supreme. I am using the word amateur here in the original French sense or someone who loves what he is doing – while professional is someone who merely does it for money, perhaps poorly, so I would not automatically rate a pro higher than an amateur. So what happened next was that affordable medium format enlargers disappeared by command. If the cheapest 35mm camera – a Smena 8m – cost 16 roubles and the least expensive 35mm enlarger was 13 roubles, then the combination maked sense. But you could not get a low cost enlarger for the medium format – so for a Lubitel at 20 roubles or Etude (which I read was just 6) the enlargers available were all “professional” and say, sold, in the 600 rouble range. That made no sense. Perhaps a Kiev 60 at 600 roubles and an enlarger at 600 roubles made sense to a pro but not a Lubitel at 20 and enlarger at 600 for a high school kid. It meant in turn that a far more capable LOMO camera, such as Lubitel, did not sell well – because enlarging in the medium format got difficult (no enlargers) and the lower segment became dominated by Smena, an inferior product. 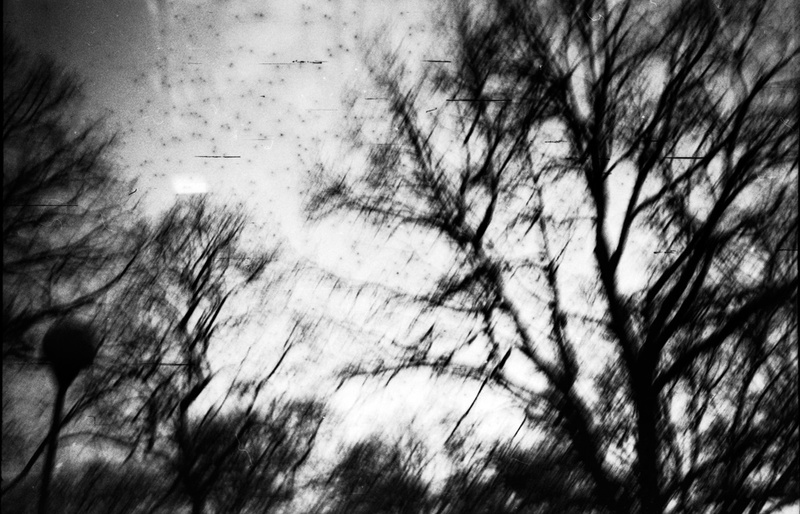 Smena is a word that cannot be simply translated into English, the literal translation means a change or a time shift – in the sense of a different factory shift. In this case I would roughly translate it as (new) generation or replacement with the allusion here being that this camera is made for a young generation. Design. Not bad, clean Soviet industrial design. Decent finish – no nails or pieces of wire sticking out. It has worse finish and the camera is visually less attractive than its German contemporary – the Beirette VSN. On the other hand, Beirette is a gentle, soft piece of machinery that breaks down easily. Finding a working Beirette VSN nowadays is difficult. 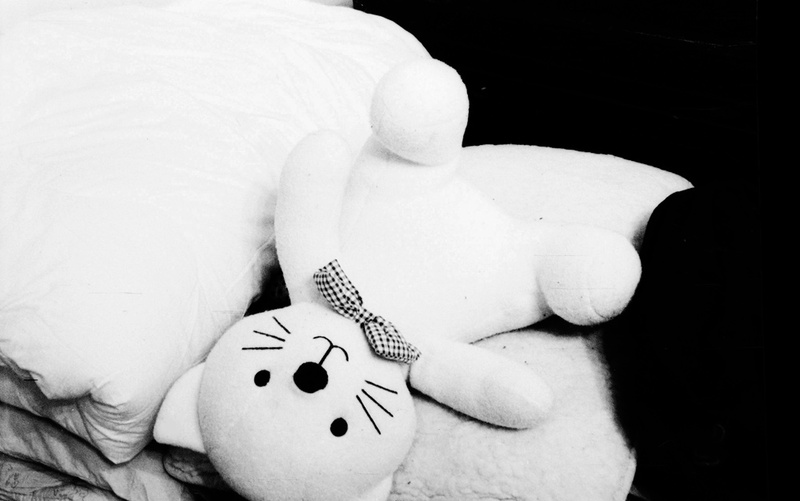 Finding a nonworking Smena is difficult. 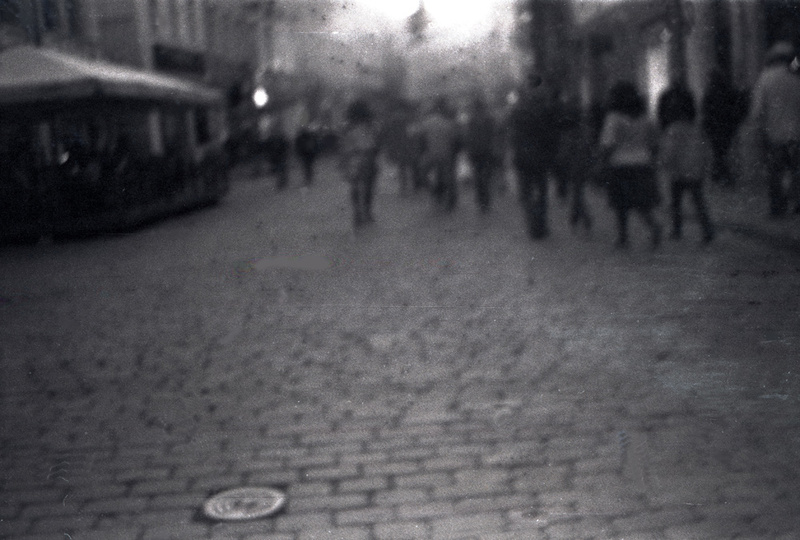 Smena is almost indestructible. 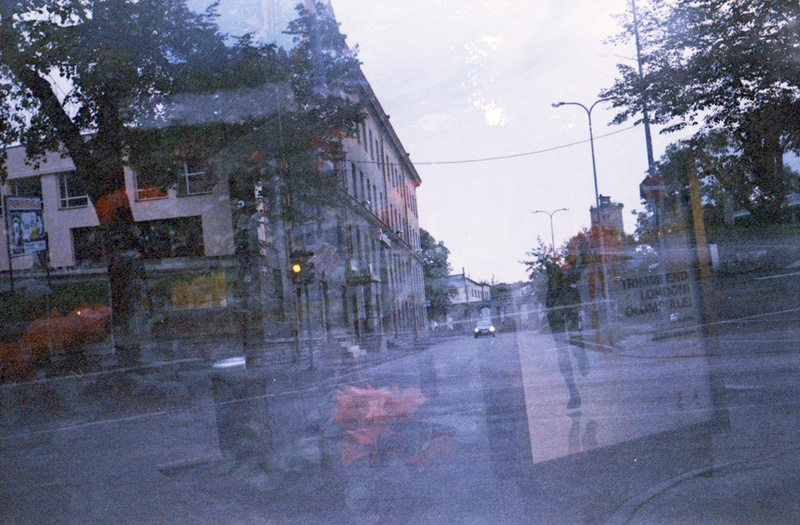 My experience with Smena 8. 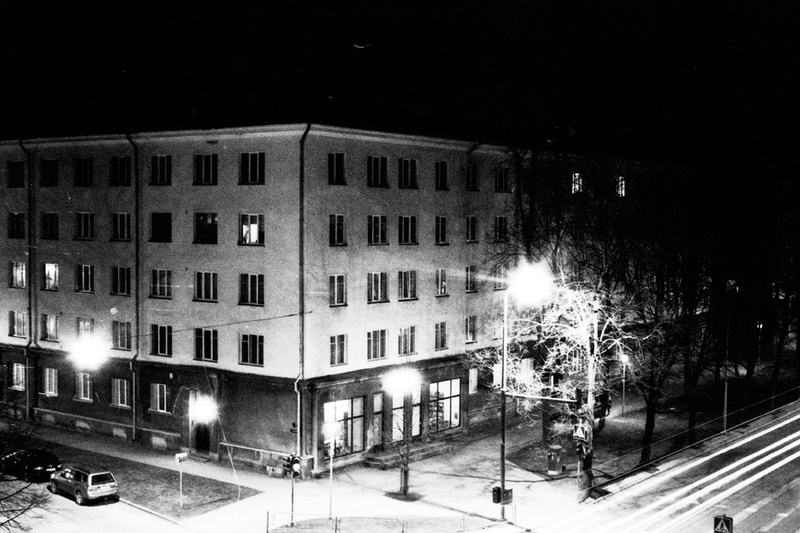 Many people from the former Soviet are attached to Smenas for emotional reasons. They say the camera is great and easy to use and that it produces quality images. In reality it is a camera that is difficult to use and the images that come out of it are mediocre though they can be unusual. The first Smena I got was at the age of may be two and a half or three or as long as I can remember myself there were a few Smenas used as toys – just thrown into my toy box. A got a new working Smena 8m at the age of about 10 and there is a picture I took of my brother when I was 11 and he was 3 and a half – I have a print that I did myself. The print is blurry – but well it is something. Using my own resources (a long story) at 13 I undertook a trip on my own to Central Asia – which wasn’t that difficult as I flew with Aeroflot and the relatives met me in the airport of (ancient) Samarkand at the other end of the journey – which was a journey as with stopover it took about one day to get there. 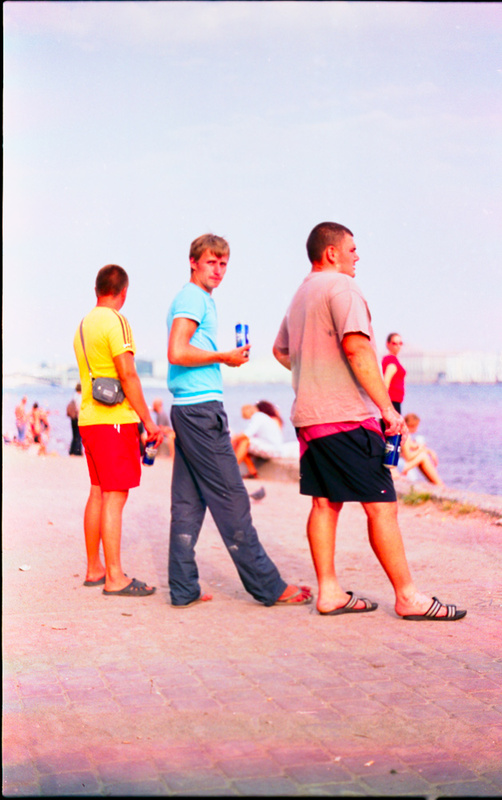 I shot a few rolls of ORWO Orwochrom slide film – in Samarkand and Boukhara – not many rolls, like four altogether, because the film was very expensive, and back in Leningrad I developed those slides on my own as well. They came out well but got lost somewhere. I cannot find them. Because results for the most part were patchy, color film expensive, I stopped taking pictures. Already when I escaped from the Soviet Union – still a teenager – I got a present from my Austrians, a small Kodak Instamatic camera. It was 1988 back then and now when I look at the Instamatics they appear bizarre and ancient. Mine used flashcubes and produced square color pictures. I loved it. So much better than Smena 8 – at least for someone who just wants to take snapshots. 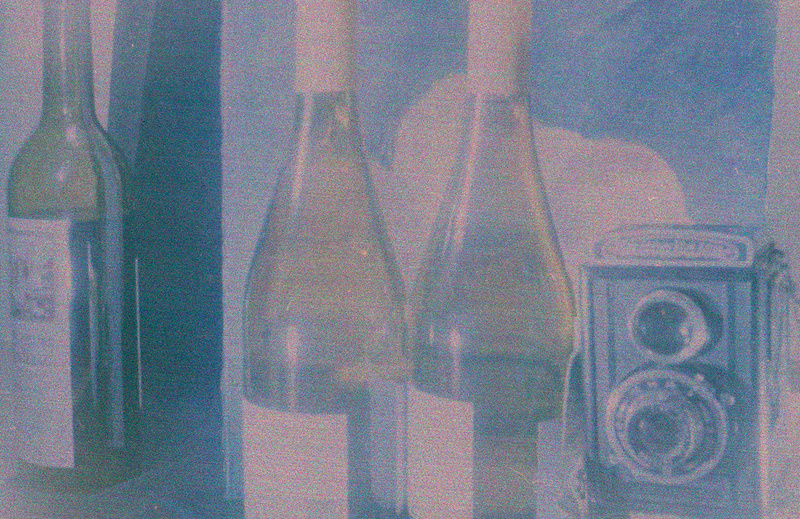 I just finished developing the film I put through my Smena 8m. There are two important observations. The shutter release is extremely tough. This makes the camera highly unsuitable for the 10 year old category of photographers for the simple reason that they would get blurry pictures. In my experience, the desire to pursue photography, when it happens, goes from least complicated to more complex. First you just want to take snapshots, and then perhaps you would want your hobby to evolve into something else. Smena is a camera with actual manual controls and you need to think in order to use them. Taken together – tough and hard shutter release and somewhat complex manual controls make it a difficult camera for most adults to use never mind children and adolescents. Economics. 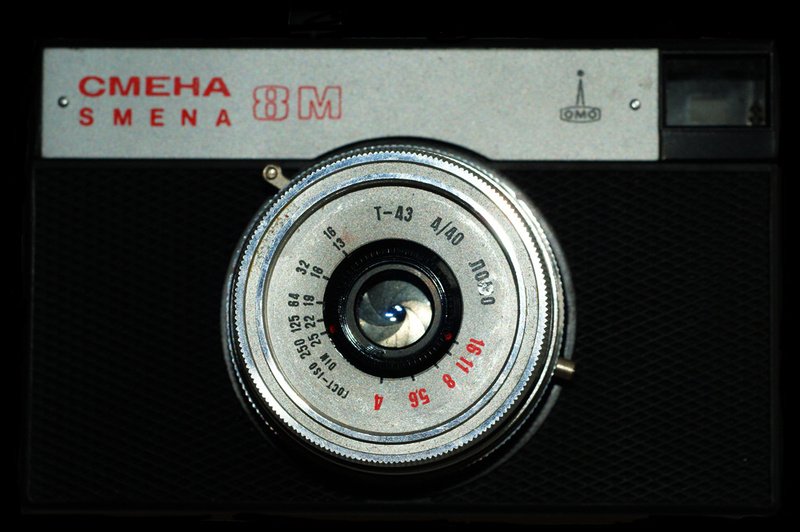 in the 1980s the price of a new Smena 8 was 16 roubles which translated into the equivalent purchasing of about 70 euros today (the estimate is fairly rough). As a comparison – the price of a new Pentacon Six was 750 roubles (if you could get one), of a Kiev 60 it was whopping 600 roubles, a Zenit E series retailed in the range of 120-130 roubles while the cost of a brand new piano was the same as of a Kiev 60 or around 600 roubles. The price of a new car like Zaporožec 968 (spelled semi-phonetically in English as Zaporozhets), a badly executed copy of the NSU Prinz, the muted Russian answer to the much more amiable and cuter Trabant was 4500 to 5500 roubles. The cheapest photographic camera, a medium format Etude, with a plastic lens and 6×4.5 negative frame had a retail price of just 6 roubles. You could buy 100 Etudes for the price of a single Kiev 60. Prices now – Lomography.com retails a Smena 8 for unbelievable, breathtaking, astonishing, mind-boggling and outrageous 80 euros. This is a shameless rip-off. 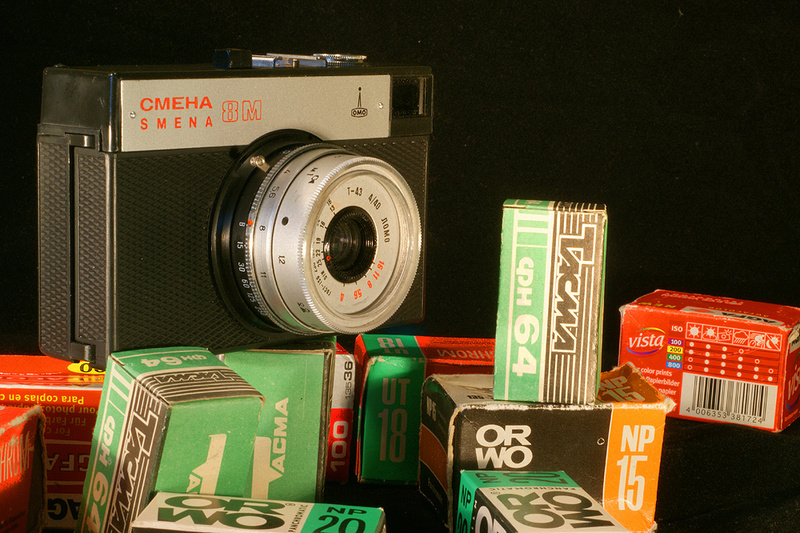 If you look through classified ads and flea markets, the price of Smena 8m in Russia and the former Soviet Union now ranges from 2 to 10 euros. That is what this camera is worth. Though I’ve got a deep suspicion it is worth nothing. I’ve got a bunch of them and I don’t recall paying more than 10 euros even for “like new” specimens in the original factory packaging. Possible use: can’t think of any. But wait… because the lens is so contrasty, produces shallow images even at the highest aperture setting and distorts colors, the camera can in theory be used for weird looking painterly still-life photography. The problem of course is that getting decent enlargements from 35mm film is a challenging (or let’s be honest, an impossible) task. You can also somehow attach a magnifying or close-up lens or hold one in your hand if the exposure time is long enough and make weird semi macro images though I haven’t tried that. With its informal Leninist motto of “the worse, the better” Smena 8m can used by the lomographers because the pictures it takes are bad and thus are suitable for lomography purposes (the Lomo compact is an overall better camera, besides it is automatic but unlike Smena 8, the Lomo Compacts are notoriously fragile and unreliable). The Verdict. This camera is both waste of money (certainly at lomography.com prices) and of film. Yes, you can obtain passable pictures with this piece of equipment but you can likewise get far better pictures with other kinds of camera. Cheapest Zeniths and Prakticas, never mind magnificent early autofocus Minoltas though not earlier fully manual Minolta SLRs which for some reason are pricier than 1980s AF models though you can use an autofocus Minolta in fully manual mode (I bought my specimen of Minolta AF 7000 for 5 euros) are incomparably better. There are so many analog decent cameras that are now dirt cheap that I am puzzled as to why anyone, myself included, would waste film with and on this unloved Soviet monstrosity. “Smena-8M” is a small format compact camera, intended for a wide range of amateur photographers. The viewfinder camera has a coated lens, a full frame viewfinder, pictographic distance scale, a central shutter and a flash hotshoe. The camera is capable of producing high quality black and white and color negatives (perhaps a mild exaggeration here). With the help of pictograms and distance symbols even amateurs with rudimentary photographic skills can take quality pictures in and outdoors. Film rewind mechanism permits using a single cassette but the design of the camera also provides for operation with two cassettes, which is convenient as it saves the photographer the necessity of rewinding exposed film. All these qualities, as well as simplicity, reliability and modern appearance make the camera “Smena-8M” attractive to both beginners and experienced amateur photographers alike. The camera can be operated under temperatures in the range from -15 to +45 degrees Centigrade in the absence of direct solar radiation or strong precipitation. Date of introduction – 1970. 1. 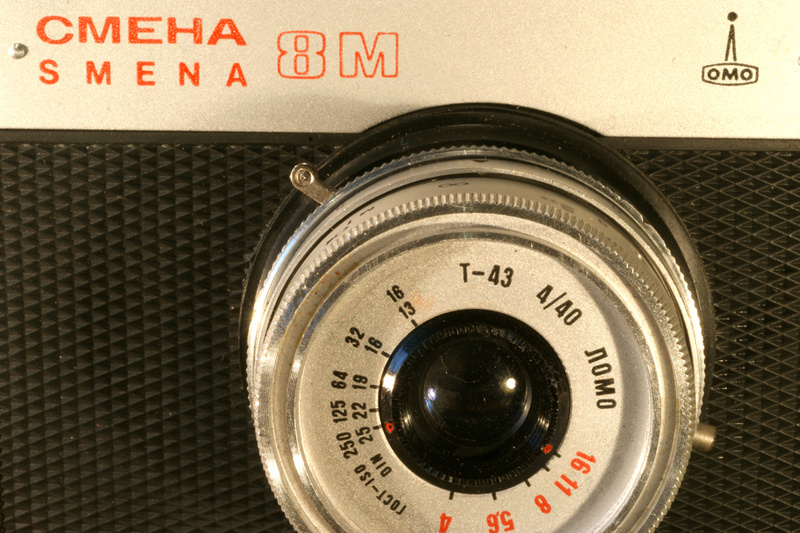 The camera “Smena-8M” – 1 pc. 2. Film spool – 1 pc. 4. Instruction Manual – 1 copy. And a few images I just took with this Smena 8m – for entertainment purposes. Note if I used better film, not expired Tasma for black and white and Agfa Vista for color, images could have come out better, but I am not going to waste a roll of Ektar on a Smena. Those pictures are deliberately taken in “different styles” to show what camera can do (not much). 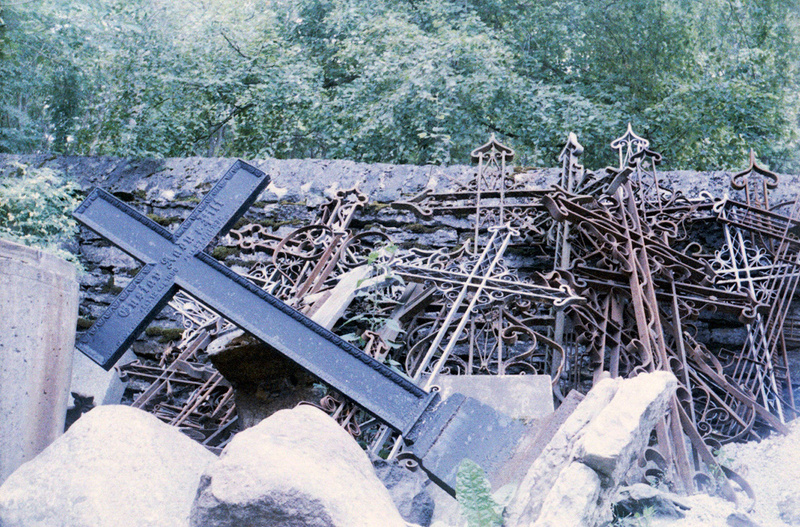 Reval / Tallinn gravesite crosses from abandoned grave (for scrapping) at the Alexander Nevsky Cemetery. Lomo Smena 8m and expired Agfacolorn Vista. Alexander Nevsky Cemetery. 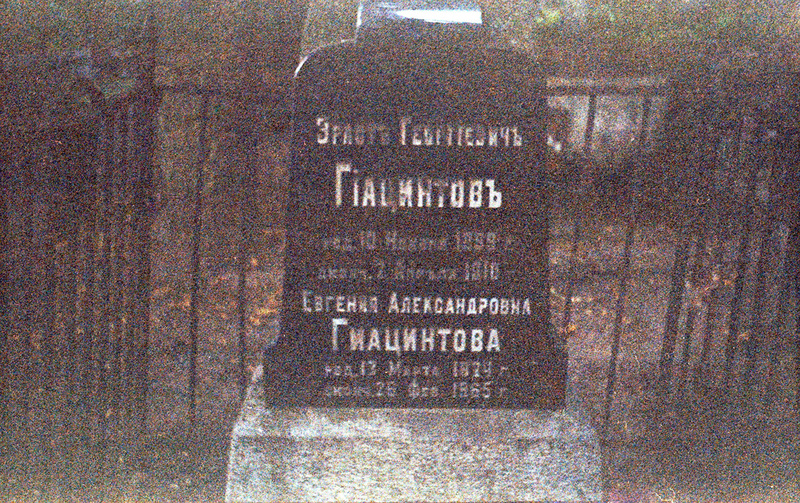 Grave of Erast Giatsintoff (Giatsintov, Hyacinthoff) – mayor of Reval (currently Tallinn) from 1905 to 1908 and administrator for Wesenberg (Rakovor, Раковор, Везенберг, Раквере, Rakvere) from 1885 to 1905. 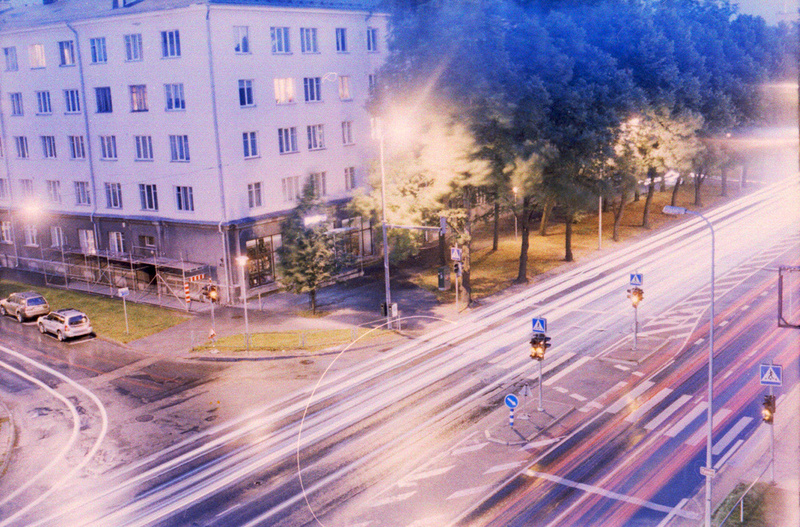 Lomo Smena 8 M – Agfa / Agfacolor Vista expired. 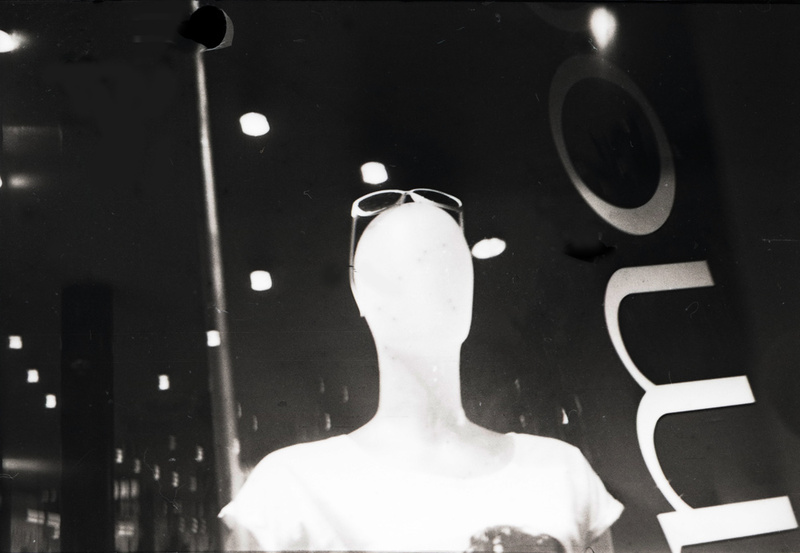 mannequin or a dummy, lomo smena 8m – Tasma nk-2 black and white film, developed in Rodinal. That’s the end of this test; I am going post pictures taken during experimental test drive of another junk camera from my collection soon. 1 – Ascorbate Developers Dedicated to various alternative processes for developing photograpic film. Focuses on but not reserved to Kaffenol developers. 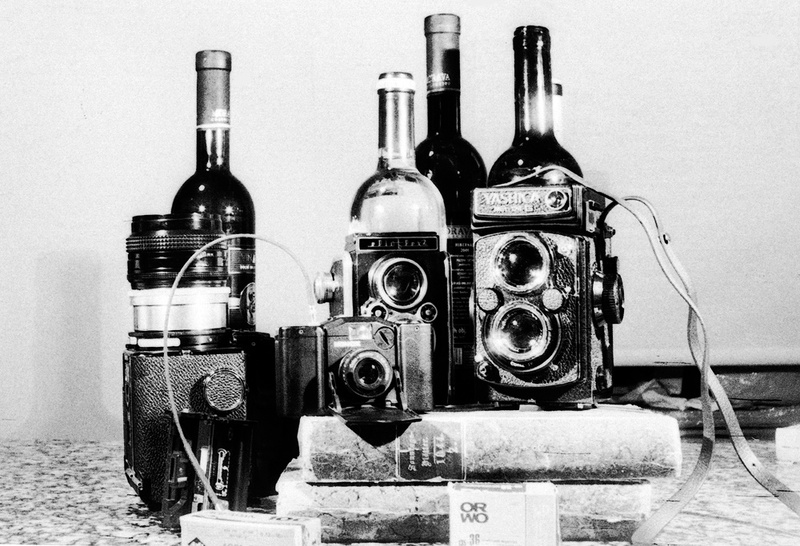 2 – Caffenol Blog Blog mainly about caffenol – and its varitieis, or about art of developing film in instant coffee. Writen in lingua franca sort of language. 5 – Dendalion Salad A US based collective blog mainly dedicated to American issues, like how rich the US is becoming and on successful policies of imperialism. The Darkmoon Art, poetry, commentary, history (that of Bolshevism and its genesis).